"After almost 4 years of exclusive releases on Richie Hawtins revered Minus, Fabrizio Maurizi a.k.a. 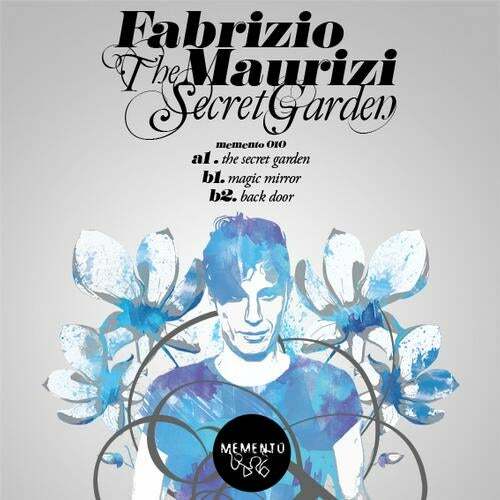 Roger is back on his Memento Records, the underground Italian label he started with long time friend and musical soul mate Idriss D. His new Ep The Secret Garden shows a further departure from the early minimal-techno infused tracks he became widely known for: an original approach to structure and composition and a research for alternative sounds make these three recordings shine with fresh light and energy. Title track The Secret Garden comes up with a funky-inspired groovy bass line, along with bouncy vocal snippets, catchy snare rolls and mesmerizing synth stabs. Magic Mirror deep acquatic pads and percussive rhythm are perfectly designed for the dreaming dancefloor crowds, with doubled-up voice samples in the break giving a dizzying effect, while Back Door reminds of Fabrizios more upbeat and punchy vibes, with time-stretched choruses and high-pitched percussions peaking after a crescendo of delays and reverbs. A distinctive piece of work that shows a peculiar drive to always look forward from the Bologna based producer, who once more proves to be one of Italy electronic scene's most extraordinary talents".